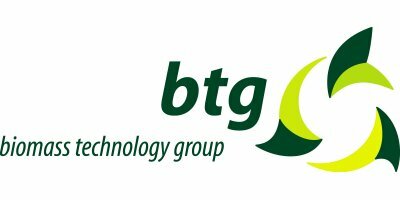 BTG Biomass Technology Group BV (BTG) is an independent, private firm which for the past 25 years has specialised in the process of conversion of biomass into biofuels and bio-energy. BTG`s two business units, Consultancy and RTD, work in synergy. The business units work on technology and project development, provide strategic advice to customers and carry out availability, feasibility and scenario studies. BTG has proven to be leading as an innovative company in the bio-energy field. The unique combination of Consultancy and RTD is the base for highly innovative and commercially feasible activities. BTG has its roots in the Chemical Engineering faculty at the University of Twente. In the late 1970's a first project was completed in Zaria, Nigeria after which work was continued at the reaction engineering group of the University of Twente on biomass gasification. In the 1980's this work was continued and extended to biomass conversion technologies, primarily those of relevance to developing countries. In 1987 BTG was spun-off and became a private company focusing on consulting activities. In 2003 the company shares were bought anew by BTG management, returning ownership to management and key personnel. Hereafter the company was streamlined and the number of groups was reduced to two: Research & Technology Development and Consultancy & Project Development. Currently these two groups are working in synergy to realize more bio-energy, biofuels and bio-materials worldwide. 'BTG wants to contribute significantly, in an environmentally, socially and economically sustainable manner, to increase the share of bio-energy, biofuels and derived biobased materials through facilitating, development and implementation of projects and programs all over the world'. In its pursuit to contribute to a sustainable energy society BTG works on the development of smart technologies that help biomass emulate fossil fuels. Coal, oil and natural gas are non-renewable fossil fuels that are produced in naturally occurring processes in which organic material is converted over a period of millions of years. BTG strives to dramatically reduce the conversion time of these processes in order to shorten the carbon cycle. The rapid conversion of biomass into bio-fuels raises the energy density of the biomass. This enables the refined bio-fuel to be used in the currently existing energy infrastructure. BTG Biomass Technology Group BV aims to operate its activities according to the 3 P's (People, Planet, Profit) of Corporate Social Responsibility (CSR). CSR is also covered by the mission and vision of BTG where sustainability is a central topic. BTG's activities are completely climate neutral. By using the Trias Energetica BTG is continuously working on improving its footprint. Where possible the energy consumption is reduced. The energy used by BTG is generated by green energy sources. Emissions which cannot be avoided are offset by purchasing JI or CDM carbon credits. 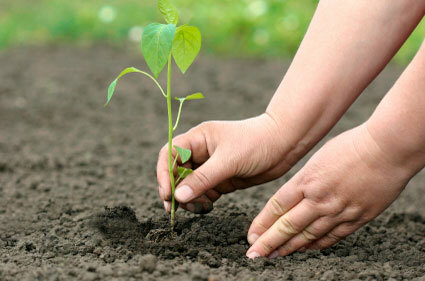 BTG calculates its Carbon Footprint on a yearly basis to determine its greenhouse gas emissions. The development of employees and students is important to BTG. BTG offers students of all educational levels the possibility to do an internship or write a graduation assignment throughout the year. BTG is closely involved in making events sustainable in the Twente region and beyond. In this way BTG tries to transfer its sustainable vision to third parties and to develop and realize renewable energy projects.